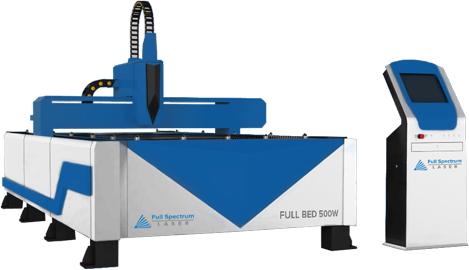 The MC-Series 5'x10' Flatbed 500W Fiber Metal Cutter is a production tool designed to cut rapid sheet metal cutting of up to 5 foot by 10 foot sheets. It can rapidly cut many metals with a kerf less than 25um (0.001"): alloy/carbon/stainless steel, copper, aluminum, gold, silver, titanium. 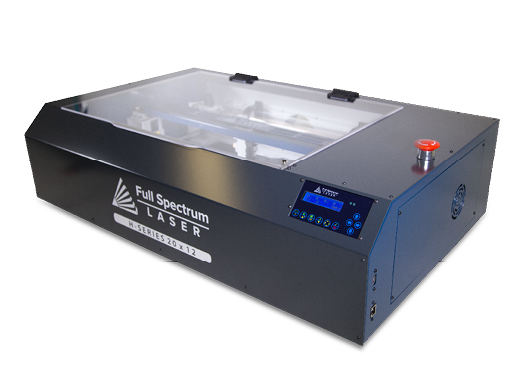 Applications include sheet metal enclosures, car bodies, jewelry, etc. Ideal for sheet metal cutting: mild steel, silicon steel, stainless steel, aluminum alloy, titanium alloy, galvanized steel sheet, aluminium zinc plate, copper, etc.